* Save the following code to your machine as “EnableSideLoading.ps1“. 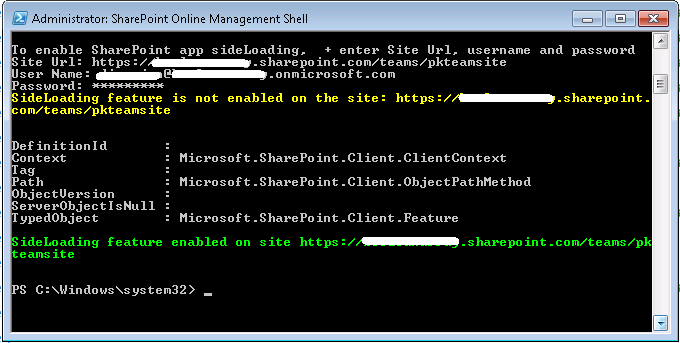 * Execute “EnableSideLoading.ps1” from PowerShell. * That’s it. You’ll now be able to install app directly from Visual Studio. Once your job is done, make sure to disable this option. To do that run the following script from PowerShell just as it has been described above.